To mourn the loss and pay tribute to the beloved Venezuelan president, Hugo Chavez, I indulged in what might be his country’s greatest export to ours. 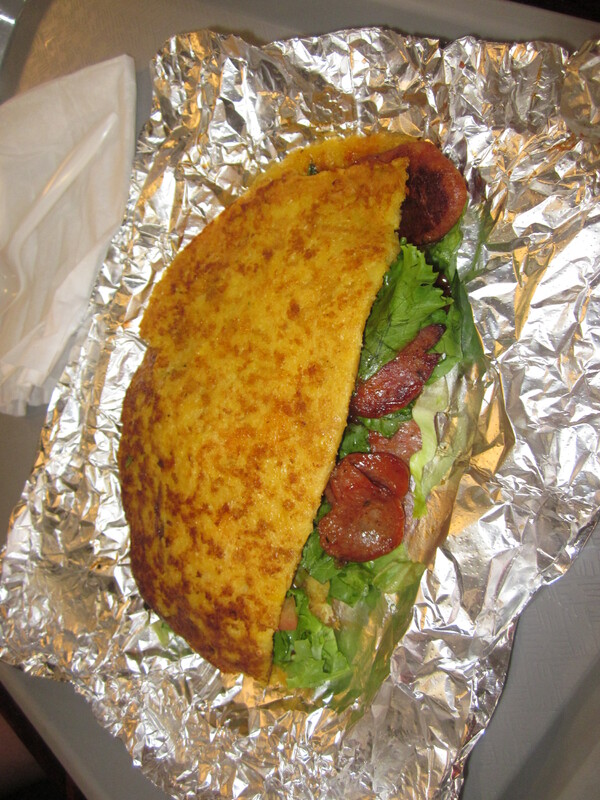 I’m not talking about oil, baseball players, or beauty queens, but something much closer to my heart: the patacon. 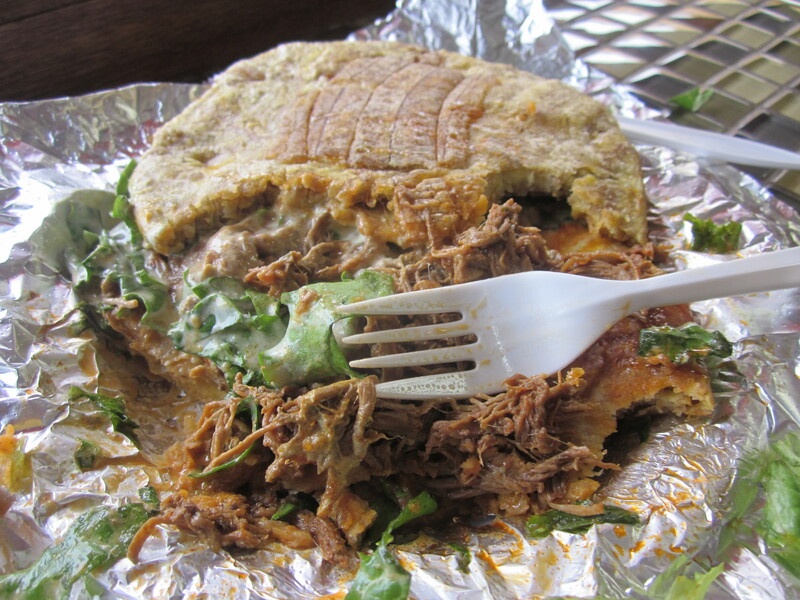 And I’m happy to report that the mashed green plantain sandwich stuffed usually with shredded pork, beef or chicken and topped with a “special sauce,” similar to that other place’s special sauce has become almost a staple in this country’s Latin communities, whether served from a food truck or a store front. The government of Venezuela has instituted a seven day mourning period to honor the late president. Everyone mourns in their own way. Here those seven days can be filled with a variety of food tributes in the form of the Venezuelan sandwich: the patacon one day, a cachapas (corn meal) the next, the delicious yo yo (sweet plantain), arepa (sweet corn cake), and pepito (hard roll sandwich) on others all the while juggling different meats including pernil (shredded pork), chorizo (sausage), carne mechada (shredded beef) to name just some of the filling options. 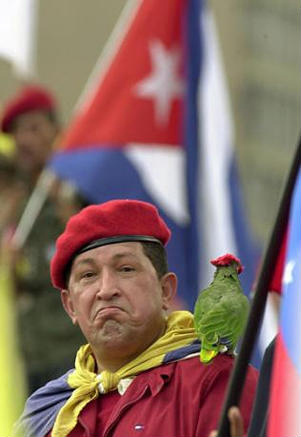 Seven days of Venezuelan sandwiches might take a toll on your cholesterol, but remember, sometimes we all must sacrifice to show respect to the leaders who themselves have sacrificed so much for their people.